So happy you took the time to play along, Shirley! And its never too early to show your gorgeous cards! This one is no exception! Thank you so much for playing along with us at MCV! 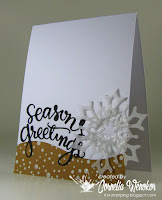 What a lovely and wintry card, the snowflakes are fantastic! Go girl. Christmas cards in May! That blue sky is so cheery, actually. Love the tree trio in the foreground. 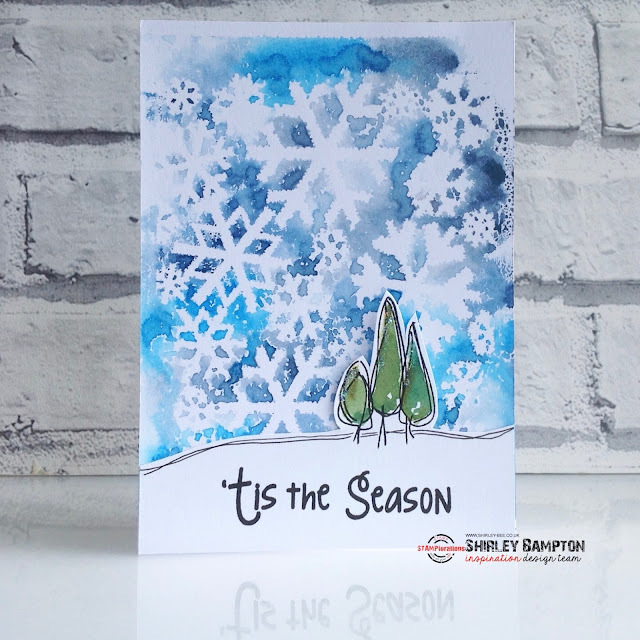 Your snow storm is perfect - you've used the layout and elements of the original but made it completely your own! So glad you joined us at MCV this week! Looks like an awesome snowstorm night! This is just amazing....what an incredible scene you created.